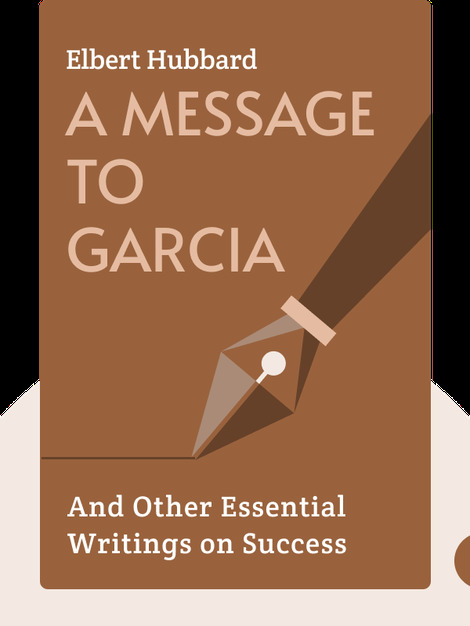 A Message to Garcia (1899) outlines the lessons to be learned from a Spanish-American War-era lieutenant who displayed a level of dedication to his work that we should all strive to match. At its core, the book describes how working hard is the key to living well, staying virtuous, finding happiness and improving the world at large. Elbert Hubbard (1856-1915) was an American writer, artist and philosopher. 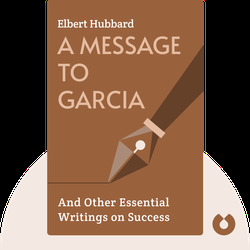 His essay A Message to Garcia sold over 40 million copies and was translated into 37 languages.